At Stickers 'N' Fun we offer the best quality scrapbooking stickers, scrapbooking paper and scrapbooking supplies at the best prices and with the highest levels of service. Don’t miss our Idea Centre for loads of free scrapbooking ideas and inspiration! 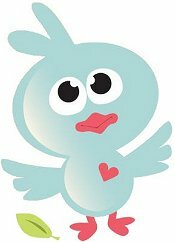 All our scrapbooking stickers, scrapbooking papers and scrapbooking supplies are acid free, lignin free and photo safe so you can use them with the knowledge that you are preserving your memories for many years to come. Stickers 'N' Fun is Proudly Australian. Visit the Stickers ‘N’ Fun Scrapbooking Ideas Centre - Your online scrapbooking information and inspiration destination. Here you’ll find 100s of fun and unique ideas along with full instructions so you can create your own special pages with ease. New ideas are added weekly so check back often. It’s like having your own personal scrapbooking classroom in your own home. Sandylion stickers, 3D stickers and rub-ons have been a favourite with crafters around the world for years thanks to their huge range of fun, stylish and unique designs. Their collection of character designs are a particular favourite featuring everything from Disney Princesses like Cinderella and the Little Mermaid to Winnie the Pooh, Thomas the Tank Engine, Spiderman, Mickey Mouse, Tinkerbell and so much more. Karen Foster Designs is one of scrapbooking’s most innovative manufacturers and has been one of our favourites since we opened. The wide range of stickers, rub-ons and papers are always on the cutting edge of design and cover a broad collection of themes from the fundamentals to the unusual. Bo Bunny Press have a style of their own, covering everything from pretty to funky to fun. The broad range of stickers and rub-ons keep us constantly inspired. We know you’ll love the fresh designs. Whatever you are looking for, they have everything covered – from days at the beach to memories of your favourite pet to simply goofing around. 1) Because your scrapbook albums are very special and unique. You want them to showcase your gorgeous photos embellished by the coolest and most stylish stickers and rub-ons. 2) Because you appreciate quality. We only offer items that are acid free, lignin free and photo safe so that you can use them with the knowledge that you are keeping your treasured memories safe for many years to come. 3) Because you want to start scrapping. We send all orders within 2 business days of receiving payment so that you can start creating with them as soon as possible. Sometimes you’ll even find your goodies in your mailbox the day after you ordered! PS – Don’t forget all sticker orders over $50 have Free Shipping within Australia. 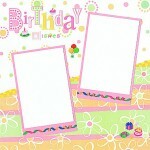 FREE Birthday Card Making Ideas eBook and weekly Scrapbooking Ideas.